Ariel and Thumbelina. . Wallpaper and background images in the heroínas de filmes animados da infância club tagged: disney non disney ariel thumbelina. So did Ariel get smaller or did Thumbelia get bigger? How cute! 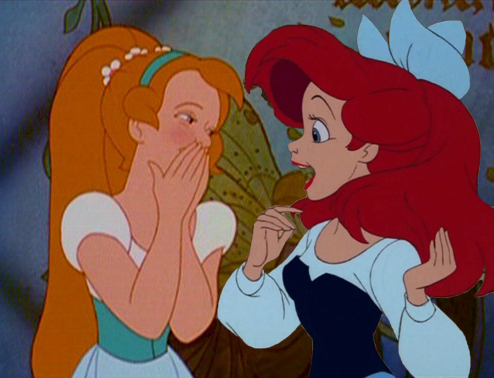 Two Jodi Benson-voiced girls interacting! Very nice.